December 4-6, 2011 Storm Sets New Records. Courtesy Of Pat Wright Of Queen, NM 12-4-2011. Icicles Snaking Their Way Down The Gate. Our Recent Storm Set Some New Records. (Click On The Graphs To Enlarge Them). 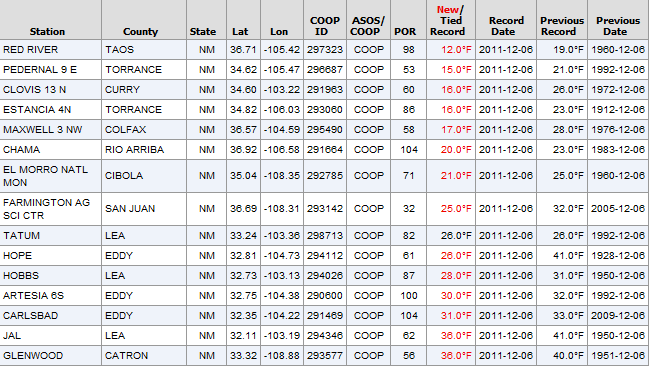 New Daily Record Low-Max Temps For Dec 5, 2011. 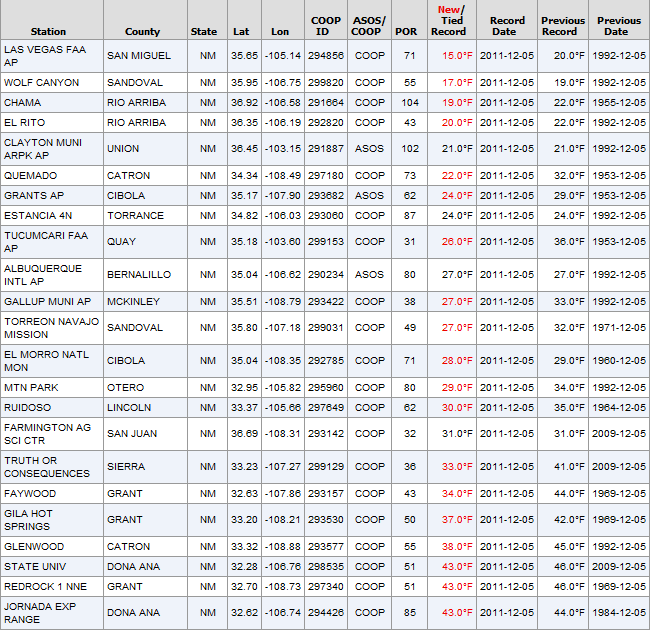 New Daily Record Snowfall Totals For Dec 5, 2011. 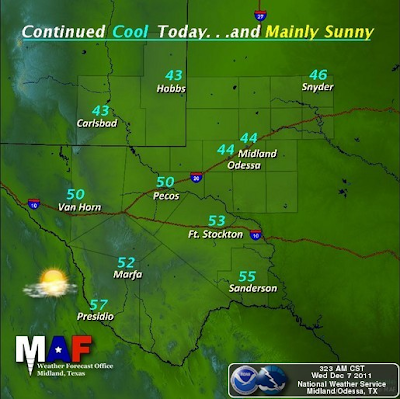 New Daily Record Lows For Dec 6, 2011. 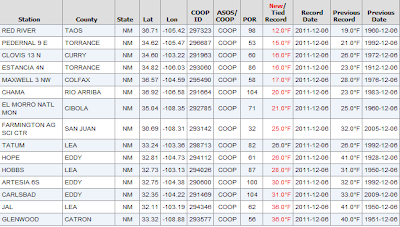 New Daily Record Low-Max Temps For Dec, 6, 2011. 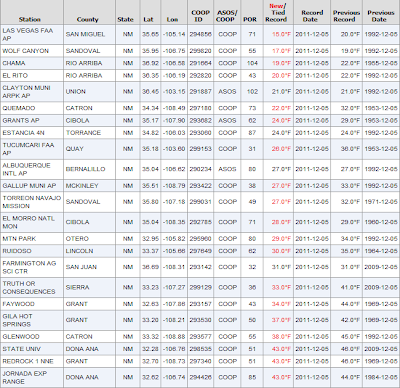 New Daily Record Snowfall Totals For Dec 6, 2011. 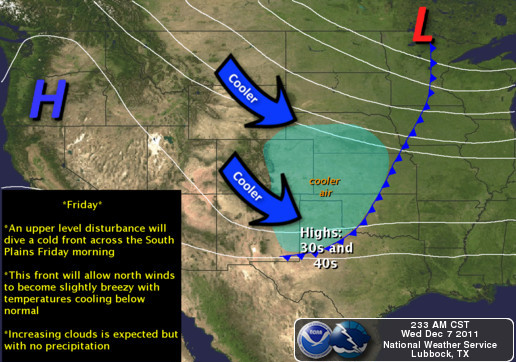 Cold Front Arrives Thursday Night. Surface Map Forecast Valid At 5 AM MST Friday. Lingering snow cover across parts of SE NM will help to keep our afternoon high temperatures a little cooler today than normal today. Most of us are looking at highs in the upper 30's to low 40's. Thursday should be a little warmer with highs near 50. Another cold front will enter the area tomorrow night, and colder air behind it will keep our afternoon highs in the upper 30's to near 40 on Friday. Forecast high temps on Saturday are in the low-mid 40's, and we are looking at readings near 50 once again by Sunday. 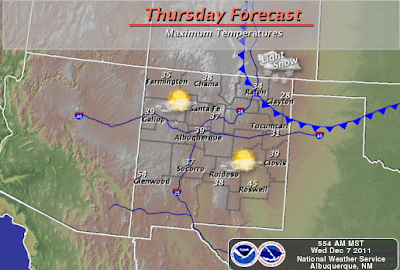 Next Winter Storm For NM - Next Week? 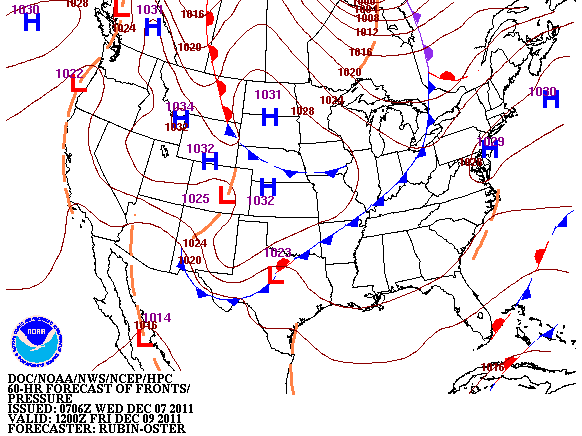 ECMWF 500 MB Forecast At 5 PM MST Mon Dec 12, 2011. Once again, the long-range forecast models are struggling with the outcome of next weeks potential winter weather maker for New Mexico. 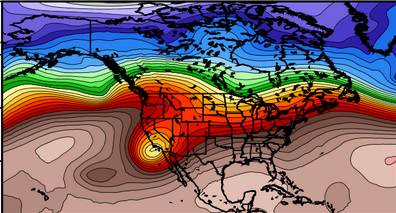 A split flow in the jet stream is keeping the models confused. Forecasting confidence in next weeks outcome at this time is low.